The e-STUDIO 305cp is a reliable A4 colour printer which will create remarkable, high-quality documents for you. With its resolution of up to 1,200 x 1,200 dpi you can take crystal-clear graphics and images for granted. And smart technology ensures constant quality even for large print jobs. Ideal for mid-sized workgroups the network-compatible printer has a print speed, paper capacity and first print output time, which will help you enhance your productivity and streamline your workflows. Caring for the environment and its resources is part of Toshiba’s tradition – starting with the choice of materials all the way to recycling issues. It therefore does not come as a surprise that the e-STUDIO 305cp complies with leading international environmental standards. The energy save modes and the duplex printing feature will help save resources to create a greener tomorrow. 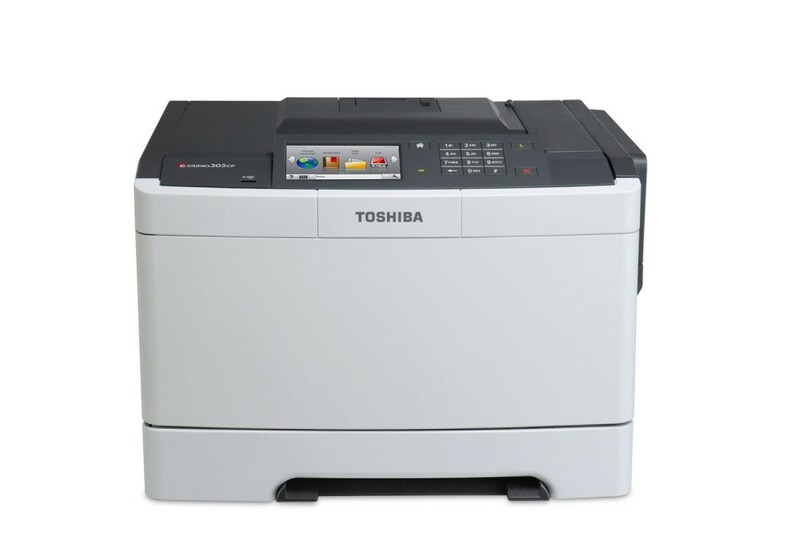 Toshiba’s A4 colour laser printer is a smart choice for mid-sized workgroups, which value high-quality document output. With a print speed of up to 30 pages per minute and a maximum paper capacity of 1,450 sheets this printer is a reliable partner when it comes to increasing your productivity. Outstanding image quality with brilliant colours let you create impressive documents every time you print. The large, intuitive-to-use colour touch panel allows you to easily preview your print jobs and change settings when needed. Meeting the highest environmental standards the e-STUDIO 305cp features energy save modes and duplex printing to limit the use of resources.